In London today, buying gold is relatively easy, as this can be easily done through an online broker. Firstly, as a gold buyer, you need to be aware of the dos and don’ts of buying gold. There are certain advantages to buying gold online. Generally, online brokers build supply chains with large suppliers who are able to provide a wider variety of gold coins and bars that they source at competitive prices. This is vastly different from a high street broker who may only have a limited inventory to offer you, due to constraints of storage space. When you buy gold from a high street shop, the onus is on you to make the right decision when buying, and you need to be able to tell whether or not the gold you are being sold is proper. A reputable online broker will have a team of experts, along with modern testing methods to ensure that anything you buy from them is already pre-checked and good to go. Of course, online brokers are also able to give you a better price as they do not need to incur the extra costs associated with running a regular high street store. They can offer a range of delivery and storage options, including secured storage at an approved vault, as well as secured, insured delivery to your door. As long as the broker is a reliable one, you can rest assured that the product you’re buying is genuine and a good investment. Usually, the broker needs to be registered with an appropriate body like the British Numismatists Trade Association (BNTA). It’s important to remember that a single bad transaction could prove dear, as buying gold usually involve large sums of money. While it’s true that you may get a good deal from an online broker, equally there are criminals who use the internet to hide. So, it’s up to you to do the proper background check on the dealer before entering into a transaction. In general, a good online broker will have a customer service line through they can be contacted. A genuine broker will be transparent at all times and be willing to answer all your questions. If the broker in question isn’t doing that, you should be concerned and be careful of dealing with the company. does all of the above and more. You can register for a free account on the website. It doesn’t matter whether you’re buying gold or not. You will still benefit from market commentary, expert opinion, industry news and buying guides, all of which are available in our ‘insights’ section. We offer certain categories in gold. 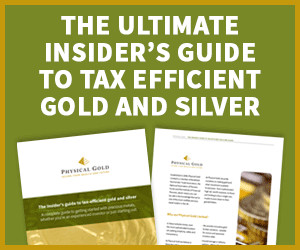 These are our Tax-Free Gold products, Pension Gold and our Monthly Saver Packages. When buying online, simply register and select the type of gold you want. Next just add your purchases to your shopping cart. Payment is easy and convenient through a bank transfer or just about any debit or credit card. You may be pleased to know that we also use a 3D secure payment system that ensures that criminals can’t hack your bank details while you’re online. After paying, all you need to do next is select the delivery and storage option that you prefer. We offer secure, insured delivery on most products. Alternatively, we can store your gold for you at our LBMA approved storage facility. In this case, you will receive documentation from us guaranteeing your purchase and confirming that it’s in storage, that you are the legal owner of your asset and that you can access it whenever you like. All our products are shipped with a certificate of authenticity and we also give you a buyback guarantee on our products. Our team of experts are always willing to assist customers. You can call them on 020 7060 9992 and speak to them about buying gold online from us. You can also message us through our website and a member of our team will call you right back. We hope that the products you purchase will give you years of joy and appreciate greatly in value over the years to come. This entry was posted in Blog and tagged Buy gold.